Lately I have been reveling in the revelation of my smallness. (Note: smallness does not mean insignificance). The more deeply I understand my smallness, the more free and joyful I become. I am walking deeper and deeper into the liberty of knowing that God is everything, and all that matters is who He is and what He is doing. Though He chooses me as His instrument, I really am just along for the ride. He does all the important work, and I yield and let Him do it in me and through me. Delightfully, He holds out His hand to me and you and invites us into what He is doing. This is akin to the way He joyfully gave Adam a part to play by allowing him the job of naming all the creatures. Adam got to let God’s creativity flow through him. But really, all the essential work had already been done. The earth and all its creatures had already been created. Our glorious freedom comes in understanding, deep in the depths of our being, that we don’t have to make anything happen… any more than Adam had to create the world. God created the world. Adam just got to come in and have a little part. This brings to mind the picture of a dad working in his workshop on a project. He gives his toddler son some plastic tools to “work” with next to him, delighting in his child’s company. The point is not that his boy is contributing any real strength or wisdom to the endeavor, but that his daddy relishes his presence. Together, they are doing great things. When I sit down to write a post for this blog, this keyboard and I are like that little boy and his plastic tools. Really, it’s Holy Spirit who is doing everything important here. I pray at the beginning, “Daddy, please write this through me, to the ones that You love.” Then, all I do is listen with my spirit, and type. I don’t come up with any of the ideas. Every single one is from Him. He gives me all the words. The wonderful thing about this story is that Mr. Taylor was not being falsely modest. He was telling the absolute truth. Just like you and me, he was really small. Everything accomplished through his life, Daddy God did it all. His little son just yielded to His lead and empowering, day after day after day. The cumulative effect was a lifetime that brought much glory to his illustrious Master. The revelation of our smallness is intimately connected to the revelation of Daddy’s immensity in every way: His infinite wisdom, His unlimited power, and His boundless love. He is “over all and through all and in all” (Eph. 4:6, ESV). “In him we live and move and have our being” (Acts 17:28, ESV). Abba has a marvelous, incredibly detailed, incredibly brilliant plan for our cities, for our families, and for every single minute of our lives. Let’s invite Him to drive. What glorious freedom, to just be the passenger! Dear one, enjoy the ride with me! “I don’t take part in great affairs or in wonders far beyond me” (Ps 131:1b, CJB). Do you feel as relieved as I do to just be small and let God take care of the big stuff? ← Why Not Instant Deliverance? I loved this post. You are correct. I remember one preacher who has this emphasis. He says that we should consider ourselves as the speck of dust in the eyes of the Lord. Thanks for sharing. Thank you Jennifer! There is such amazing freedom and peace found in that powerful revelation! So easy to get caught up in the pressure of doing instead of resting in Him as we trust what He is doing through us as we fix our eyes on Him. That rhino/bird picture is perfect!! Thank you Len! Blessings! I am so grateful too! 😀 Always blessed to hear from you, Jeff! Love the ant! Have a blessed Thanksgiving! It is such a relief to let him take control! It’s so great to learn to revel in our smallness. BUT thank you, Jennifer, for the reminder…….smallness in Him as long as He is the focus for life is indeed JOYFUL yAH! yah! and a-men. Passionate sparks can a spiritual bushfire fuel. He is LORD! Oh my goodness! Yes, I am so relieved that He can and will do it all!! I love the concept that Adam didn’t have to create the world—he just had a small part to play (although probably still an extremely challenging task!) God knew what Adam could handle. I’m loving thinking about the Father just cherishing the child beside him. 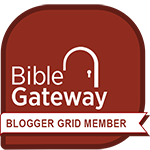 Your testimony of how you write these blog posts make sense because I’ve never read one that wasn’t divinely inspired—speaking straight from God to me. First, I have to laugh at my squirrelly brain! Looking at your tags at the bottom of the post. As a woman who spent her late teens in the ‘80s, not seeing the comma between the words ADAM and ANT made me a little nostalgic! 😂 But seriously, this feeling you write about is exactly why I enjoy (safe) thunder storms. They remind me that God is so very much bigger than we are! Haha, that is great! Funny how our brain does things like that. And YES, I love them too! How gloriously they trumpet His might! 🙂 So good to hear from you, LaRonda!